From January 15th to 17 th 2018, the CUE fair 2018 was held in Rotterdam. With more than 125 exhibitors the ground was well filled. And for good reason: the professional visitors were able to catch up on the latest trends in the fields of event, installation and entertainment technology. Of course, Hoellstern could not be absent here either. Our Dutch distributor Auvilight was on the site with representative Rob Roosen presenting our product highlights. 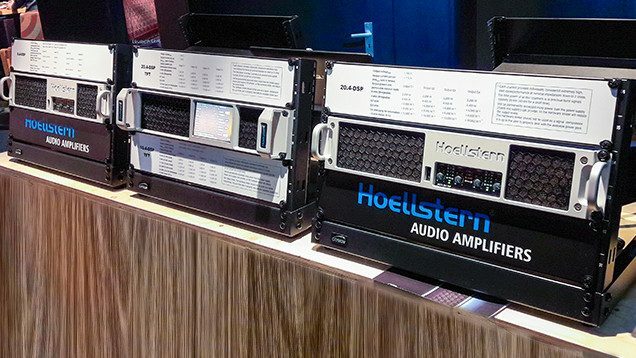 Particularly the new 20.4-DSP-TFT amplifier attracted wide interest among the expert audience. Especially the synergy with the flexible K2 software and its numerous configuration options convinced the visitors at our booth during the 3-day event. Because of the success for Auvilight and Hoellstern, we have decided to be in it again next time. So let’s look forward together to the CUE 2020! K2 V175 – more efficient than ever!